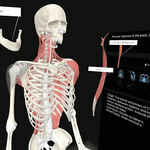 Future doctors are practicing their skills on VR simulations, learning about anatomy without ever entering a lab. 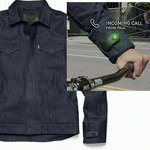 The touch-enabled Project Jacquard Commuter Trucker Jacket from Levi’s features gadget control embedded in the fabric itself. 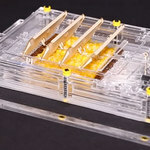 An innovative evaporation-powered device could offer a new source of renewable energy for the United States. A new hybrid 3D printing technique from the Wyss Institute could open the door to more durable, flexible wearables. 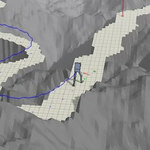 The origami-inspired delivery drone from EPFL's Laboratory of Intelligent Systems can fold down when not in use. 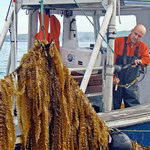 The GreenWave vertical farming system would provide a new source of food while also helping restore ocean ecosystems. 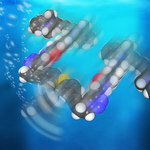 Researchers at Rice University have created light-controlled molecular machines able to drill holes in cells to deliver medication or destroy the cell itself. 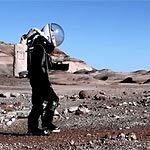 Specialized yeast strains could allow future astronauts to create 3D-printed tools using their own waste products. 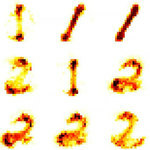 The organismoids computing technology mimics human thought by helping machines learn by allowing them to forget. 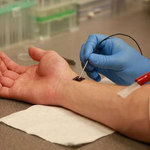 The breakthrough new Tissue Nanotransfection (TNT) technology uses electricity to create new organs from skin cells. 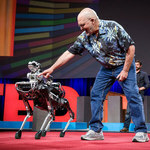 The DeepLoco artificial intelligence algorithm uses reinforcement learning to get robots on their feet. 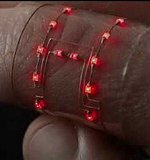 The conductive paint from Bare Conductive lets users experiment with their own circuits. 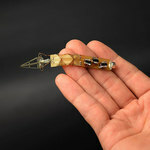 A tiny, battery-free robot from Harvard University could lead to swallowable micro-robots able to film inside the body. 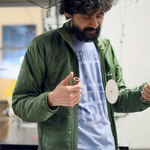 Known for his lifesaving paper-based tools, Manu Prakash demonstrates a hand-powered centrifuge that can replace a $1000 device. The Brainno wearable reads your brain waves to promote mental health. 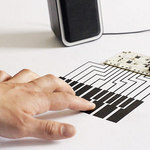 The Desktopography smart display can project a virtual keyboard onto small, cluttered spaces. 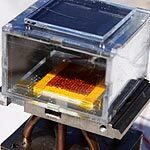 A modular, solar-powered desalination system from the team at NEWT could provide a lifesaving source of water to remote and off-grid locations. 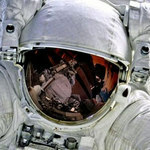 An innovative solar paint from RMIT University will transform moisture into hydrogen fuel. 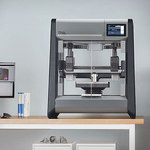 The 3D printer from Desktop Metal prints metal parts and prototypes without fumes and toxic chemicals. 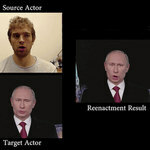 Picture yourself as Putin or Schwarzenegger with the Face2Face system, which allows for total and real-time manipulation of the face on any target video. 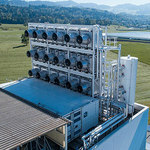 The Direct Air Capture plant from Climeworks collects CO2 from the air for use in greenhouses, climate-neutral fuels, or even carbonated beverages. 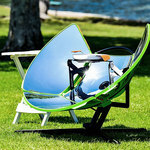 The SolSource Sport solar cooker from One Earth can cook anywhere under the sun. 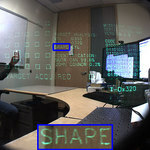 A prototype near-eye display from Microsoft places a holographic display within a standard pair of eyeglasses—paving the way to an AR-enhanced world. 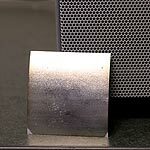 Researchers at Michigan State have developed a paper-thin, motion-powered device able to function as both a speaker and a microphone. 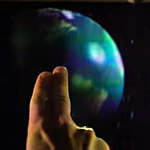 The MistForm shape-shifting fog display opens up a new world of holographic displays. 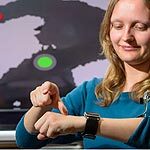 The WatchSense system from Saarland University can put smartwatch controls on the back of your hand. 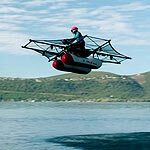 Designed for use over water, The Flyer from Kitty Hawk can be flown without a pilot’s license. 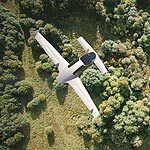 The Lilium Jet all electric flying taxi promises to save energy and ease transportation hassles. 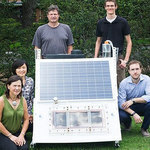 Using a metal-organic framework, researchers have developed a solar-powered device able to harvest water from the air. 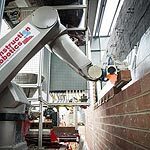 The SAM100 Semi-Automated Mason from Construction Robotics can lay bricks six times faster than a human worker. 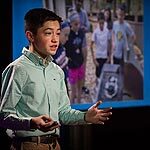 Young inventor Ashton Cofer discusses his intriguing plan to recycle Styrofoam into activated carbon to purify water. 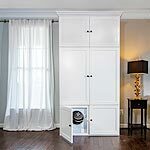 The ThreadRobe wardrobe automatically sorts and stores clean clothes, freshening and dispensing the chosen outfit on demand. 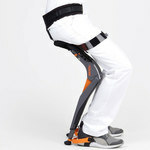 The haptic space boots from MIT’s Man Vehicle Lab could help keep astronauts on their feet. 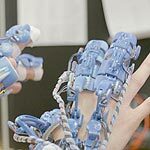 Researchers at the University of Bristol are developing a wearable robotic system that will allow surgeons to perform more delicate minimally invasive surgeries. 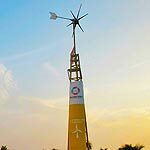 Costing about as much as an iPhone, the small and tidy home wind turbine from Avant Garde Innovations can generate enough energy to power a home. 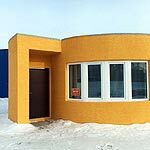 Apis Cor has developed a mobile 3D printer able to print an entire house in only a day. 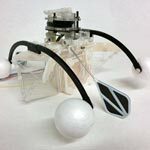 Inspired by the water boatman insect, the tiny Row-bot robot cleans dirty water as it feeds on the pollution. 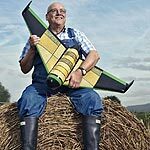 The edible Pouncer drone from Windhorse Aerospace can deliver aid to disaster areas, and then be consumed on site. 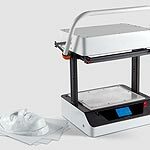 The Vaquform digital desktop vacuum former takes home inventors from prototype to product, right at their desk. 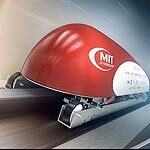 A team of MIT students demonstrate their Hyperloop Pod design, set to head to the SpaceX Hyperloop Pod Competition. 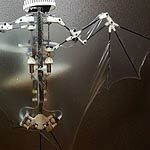 The CalTech Bat Bot drone flies like a real bat, offering greater maneuverability as well as a safer alternative to spinning blades. 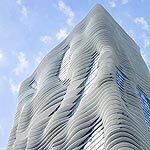 Architect Jeanne Gang explores how building design can also help to preserve the planet and shape human interactions. 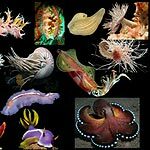 Biologist Alejandro Sánchez Alvarado shares why we need to study a wider range of species to solve new problems. 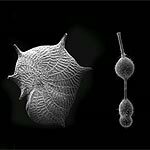 George Tulevski describes the future of nanotechnology, and how self-assembling nanotubes could usher in the next generation of computers. 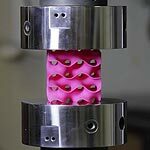 A new 3D material from the team at MIT is stronger and less dense than steel—and can be crushed in a controlled manner. 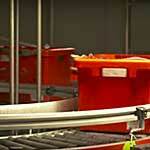 The Ocado next-generation automated warehouse coordinates the movements of hundreds of thousands of crates to deliver good to customers in record time.